Whether you have been trying to conceive naturally for a while, or you have a deeper issue that requires fertility treatment such as IVF, hypnotherapy can be a great tool in helping you to achieve your ultimate goal of starting or extending your family. The mind is an extremely powerful component when it comes to conception, and anything from negative thoughts, emotions and behaviours to stress and anxiety can impact your chances of getting pregnant for both the men and women involved. We all know that for those struggling with fertility issues things can get very difficult, stressful and emotional, so when someone tells you to ‘stay positive’ or ‘try not to think about it too much’ it can seem like the hardest thing in the world. This is where hypnotherapy comes in and can actually be a big help, when it starts to look like nothing else will. Hypnotherapy is a great way for you to relax, destress, and reframe your situation in a more positive way, as well as working through emotional roadblocks and remove any fears or anxieties which may stop you from conceiving. Hypnotherapy is a form of therapy which accesses the subconscious parts of your brain in order to find the deep-seated roots of your issues as well as changing and altering how your brain reacts to the triggers that cause (in this case) stress, anxiety, depression or negative thoughts. These negative thoughts can stop your body from operating correctly and this is often a big factor when it comes to conceiving a child. So, you may be wondering what a typical hypnotherapy session looks like, well it usually goes a little like this: the therapist will start by discussing with you your goals and objectives, talking through what you want to ultimately achieve through one or more hypnotherapy sessions. The therapist will then come up with a hypnotherapy treatment plan and let you know how the sessions will work and what they involve so you are at ease. The trained hypnotherapist will then guide you into a relaxed hypnotic state where they will make suggestions to your brain to make it work in a more positive manner, you will then leave the session feeling refreshed and relaxed, with a much more positive outlook. 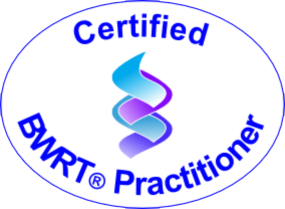 Hypnotherapy is often used at IVF clinics in conjunction with the medical fertility treatments that they offer and it is recommended that multiple sessions are undergone as the effects of hypnotherapy are cumulative so increase with more sessions.